As the neighborhood was gentrifying, I'd tell tourists who asked for a lunch recommendation to eat here. Half out of spite, and half out of a desire to support the mainstay local diner. 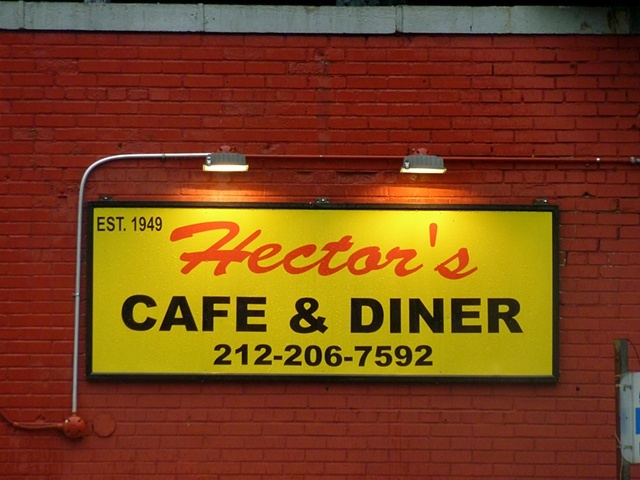 Now Hector's stays open late to accommodate the wealthy late-night revelers. Years ago, they opened at 2 am to feed the market's many meat packers.